A down to earth person with an exceptional sales, auctioneering and management history, Brad is Co-Director of Harcourts Narre Warren South together with Rebecca Borg. 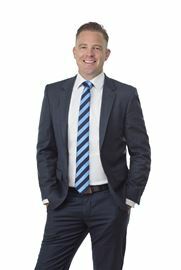 Brad’s long, successful career started with MPRE (Mornington Peninsula Real Estate) in Frankston in 2001. After a quick and exciting induction, and after just a year, he and a small team opened MPRE Cranbourne. Excited about the growing region and its possibilities, he then made the transition to MPRE Narre Warren South, subsequently re-branded to Harcourts, and opened a second office in the centre of Narre Warren. Brad’s flair for the industry has led to a long list of prestigious industry awards, including Senior Auctioneer of the Year and an Emerald Pin for more than $45m of settled sales. While remaining actively involved in sales, mentoring and supporting his sales team is also a very important part of Brad’s work. This management role involves regular meetings, the implementation of structured processes to maximise success and ongoing professional development, thereby ensuring sales consultants develop to their full potential and consistently offer the high-level of client care and results the office is known for. He is also actively involved in the negotiation process to ensure clients achieve the best possible results. Brad is as equally available to his staff as he is to his clients. “People are busy these days; they need sales advice and support quickly, honestly and clearly, whether during or after hours,” says Brad. “Buying and selling property is a big event in clients’ lives and we like to make it as easy as possible for them.” Brad and the well established, multicultural Harcourts Narre Warren South team are avid sponsors and supporters of the Berwick Springs Junior Sports Club, whose many young football and netball players have received direct support through private donations. “It’s important we foster a healthy and vibrant community,” says Brad, who, between spending time with his wife Joni (who works in the property management department) and his two boys Jack and Harry, is also an avid marathon and trail runner. “Healthy mind, healthy body,” says Brad, an attitude that also prevails throughout the office - although convincing them to join him in 50-kilometre runs through the hilly bushland of Arthurs Seat is another matter! Warm, Friendly, understanding and diligent Nicole has focused the past 11 years on her nursing career whist having a strong passion and interest for real estate. Nicole has a genuine passion and desire to help people and these attributes show in not only her nursing career but are impeccable in her real estate career also. Having lived within the City of Casey for over 20yrs and raising two young children here, Nicole has a sound knowledge of the area and the key services and/or features it has to offer. She not only brings her knowledge of the area but also her life experience when it comes to raising a family. Her trustworthy, affable nature, along with her strong communication skills ensures she has what it takes to make every process for her clients a smooth and positive one. Nicole relishes on the fast pace and variety in her position as well as the different challenges that each day can bring. Dedicated, enthusiastic, hardworking and adaptable makes Nicole the perfect agent for our team here at Harcourts Narre Warren South. 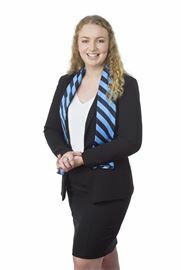 “My time in the real estate industry so far has only enhanced my appreciation of how unnecessarily stressful selling or buying a property can be and how important it is to provide a service that focuses on honesty, commitment and communication to help eliminate that stress on my clients whilst achieving not only the best possible result but the best possible overall experience”. 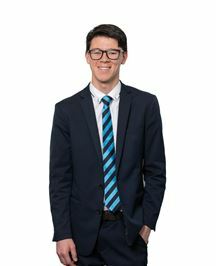 A reputable and fully licensed estate agent, Paul May is widely regarded as a trusted and leading agent throughout the City of Casey and beyond. Having worked in the area since 2004, all the while maintaining the highest personal and professional ethics, Paul is recognised as a top performer in both the region and the wider industry. Paul is highly committed to his clients and their success. From the outset, real estate has never been a job to him, but a career. Between his dedication to personalised service and support, extensive local experience, and a strong sales record, Paul has built a large, loyal following of repeat clientele who not only turn to him as their agent of choice, but also refer their friends and family. In addition to being a fully licensed agent, Paul undergoes ongoing professional development to stay abreast of changing trends and consistently improve his service to valued clients. Formerly with another leading agency in the area, Paul joined the team at Harcourts Narre Warren South because of shared beliefs about bringing customer service back to the area and Harcourt’s part in it. Between a well-known, long-established brand, its marketing reach, and the office’s good name and sales success, vendors and buyers can be reassured of both powerful backing and extensive support resources. Add to that Paul’s long track record in residential sales and excellent knowledge of the area, its people and property market, and vendors and buyers can move forward with confidence. Married with four children, Paul has lived in the area since 1994. A mature person who also brings life experience and a warm, personable nature to all he does. Paul loves sport and still plays Indoor Cricket regularly and also lovely spending Sunday morning with his wife Joanne, walking their dogs on the beach. As Rental Department Manager, Melanie offers a personal, honest and fresh approach to her client´s real estate needs, and has gained a reputation for exceeding their expectations. She gains the most satisfaction in providing diligent, honest and caring customer service while making her client´s dreams come true; whether they are landlords or tenants. Over the 15 years she has been active in the real estate industry, Melanie has ingrained exceptional customer service skills, and her clients appreciate her professional, mature and empathetic approach. Melissa offers a personal, honest and fresh approach to her clients’ real estate needs, and has gained a reputation for exceeding their expectations. With several years’ experience in administration, Property Management and Sales, Melissa has exceptional organisational ability and listening skills. Her clients appreciate her professional and reliable approach. Ready access to excellent systems is an important factor in managing and promoting sales properties. Driven to succeed, Melissa finds the most satisfaction in providing professional, honest and dedicated customer service to her clients. She enjoys interacting with different people on a daily basis and finding solutions to their real estate needs. Due to her professionalism and integrity. Having been involved in the business since 2004 with her husband and business owner Brad, Joni is a strong link in the highly successful, nationally award winning property management team. Joni is out in the field every day and knows what tenants and landlords alike are looking for when it comes to customer service in the area of property management. Her extensive background from being involved from sales administration roles to currently as a leasing consultant give her the edge in knowing what people want and the expertise on how to deliver on it. Joni is surrounded by an highly skilled property management team that are daily feeding her new ideas and knowledge on what is required to build the best property management team in the country. Having seen the business grow from one property to now being on the path to 1,000 homes under the management of the office, Joni is excited about the growth and development that lays ahead for her and the property management team and welcomes you to share it along the way with her. 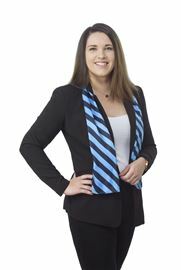 Behind every great team there is that one individual that brings it together and at Harcourts Narre Warren its Regina. Having joined the team in 2007 she has cemented her position at our front of office administration, with her pleasant personality and always willing to help attitude our clients know they are getting the service not only they want but that little bit extra as well. So when you see your home up on the internet or looking its best in the local paper you know Regina made it happen. Next time you phone us at Harcourts or call into the office, make sure you say hello to “Reggie” and you will be sure to be greeted with a smile and know you are at home with Harcourts. Walk into your Brand New Home! Near New & Waiting For YOU! First Home Buyers + Investors! Berwick Springs at it's best! Your New Home or Investment! Invest, Downsize or 1st Home! The Bright And The Beautiful! Corner Block in High Grove. Location is Everything - Sold! Walk to Berwick Springs Lake! Act fast or miss out! Rare Titled Land - Last One!! WOW! Massive 764m2 of land! Neat, clean and ready to go!